Found 3 file extension associations related to LG PC suite and 3 file formats developed specifically for use with LG PC suite. 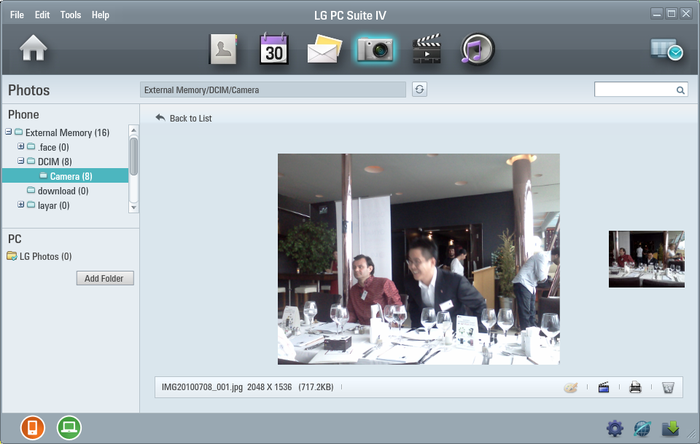 LG PC suite (also known as PC Sync) allows the user to connect the phone to a computer with a cable and synchronize data like calendar and contact information between the phone and a computer application such as Outlook. If you need more information please contact the developers of LG PC suite (LG Electronics), or check out their product website.